In the movie The Dead Don’t Die, in the peaceful town of Centerville finds itself battling a zombie horde as the dead start rising from their graves. 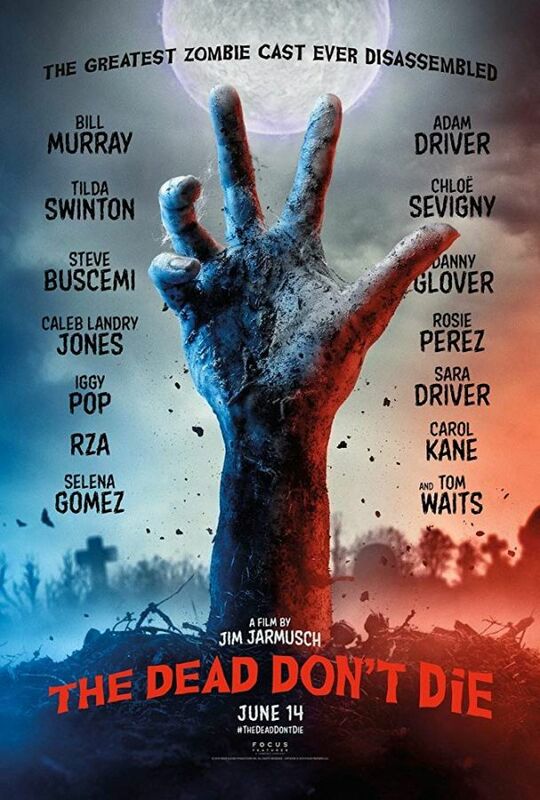 The film features the greatest zombie cast ever disassembled including Bill Murray, Adam Driver, Tilda Swinton, Chloë Sevigny, Steve Buscemi, Danny Glover, Caleb Landry Jones, Rosie Perez, Iggy Pop, Sara Driver, RZA, Selena Gomez, Carol Kane and Tom Waits. Written and directed by Jim Jarmusch.